In the start of a new series, Electric Sheep Magazine editor in chief Virginie Sélavy and assistant editor Alex Fitch preview the London Film Festival and talk to filmmaker Prano Bailey-Bond, whose short film NASTY is screening as part of the Cult section. Sight and Sound production editor Isabel Stevens joins them to talk about the new Female Gaze issue of the magazine. Plus extracts from Evan Johnson’s interview with Guy Maddin, whose latest, The Fobidden Room, is showing at LFF; a sample of William Fowler’s lecture on guerrilla filmmaker Antony Balch at the Miskatonic Institute of Horror Studies, and classic tracks by Hank Mizell, Shirley Ellis, Nina Simone and Piney Brown. This entry was posted in Clear Spot, Electric Sheep Magazine podcast on September 27, 2015 by alexfitch. Alex Fitch talks to Ted Kotcheff, the director of a ‘lost’ cult classic – Wake in Fright (1971) – and to Terry Gilliam, director of another cult title in the making, The Zero Theorum (2014). Fitch and Kotcheff discuss how Wake was recovered by its editor, how it depicts issues of masculinity in crisis and has an unreliable narrator. Gilliam, in an extract from the London Film Festival Q and A, talks about how his new film responds to issues of NSA spying, continues his strand of casting actors against type, and represents a ‘full fat’ viewing experience! Visit www.archive.org, for more info + formats to stream / download. The MST3K all nighter is a regular attraction of SCI-FI-LONDON (The London International Science Fiction and Fantastic Film Festival), and this year the festival would like to bring along two of the actors from the series to ‘riff’ in person at the film screenings. Dr. Forrester and Frank’s appearance will hopefully be funded by an indiegog campaign where you can also purchase a signed Cinematic Titanic DVD by the duo. This entry was posted in Electric Sheep Magazine podcast, I'm Ready for my Closeup on March 8, 2014 by alexfitch. 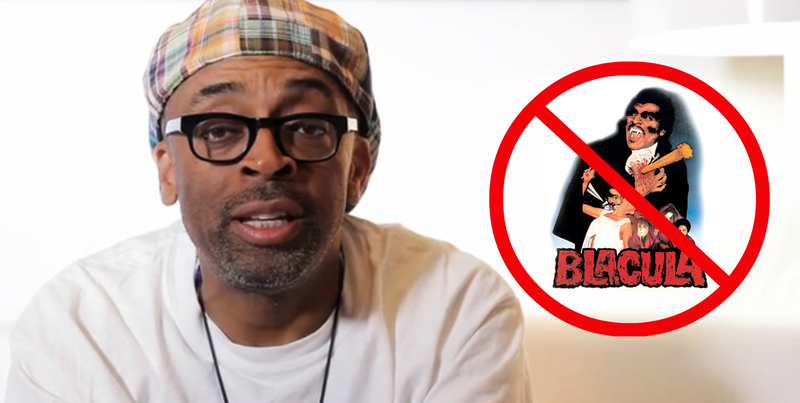 In a special episode of I’m ready for my close-up, Alex Fitch talks to American film maker Spike Lee about his Kickstarter campaign to fund a new movie about ‘blood addiction’ (which ends on August 21st). They also discuss his forthcoming remake of Park Chan-Wook’s Oldboy, Lee’s thoughts on blaxplotation films such as Blacula and the director’s continuing enjoyment of being a film tutor. The longest running British comic book festival, now in its 21st year returns to the East Oxford Community Centre, off Cowley Road. Guests include Rian Hughes (Dan Dare), Andrzej Klimowski (Stanis?aw Lem’s Robot…), Danusia Schebal (Dr. Jekyll and Mr. Hyde graphic novel), Al Davison (Doctor Who comics), Paul Collicutt (The Murder Mile), Vicky Stonebridge (Dogbreath), Karen Rubins (Victoria and Albert Museum comic artist in residence), Ian Rakoff (V & A comics lecturer, writer “The Prisoner: Welcome to Harmony”) and Charles Cutting (The Dream Quest of Randolph Carter), Glenn Fabry (Preacher) and many more. This entry was posted in Electric Sheep Magazine podcast, I'm Ready for my Closeup on August 16, 2013 by alexfitch. This entry was posted in Electric Sheep Magazine podcast, Panel Borders on July 15, 2013 by alexfitch.